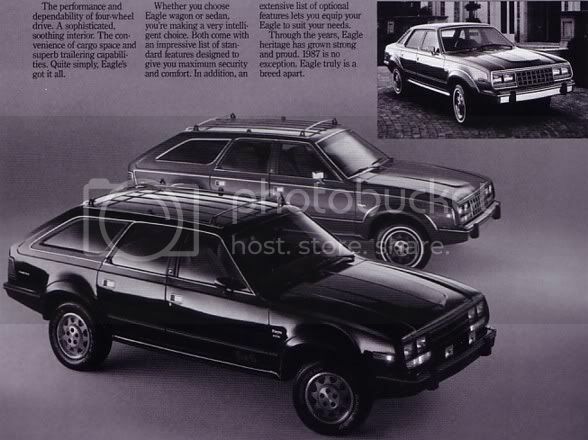 Calendar year 1987 would see the end of Eagle production with the sale late in the year to Chrysler. 1987 AMC Eagle Wagon and Sedan. Sedan sales were nearly nonexistant at 454 cars and would mark the end of the four door sedan.